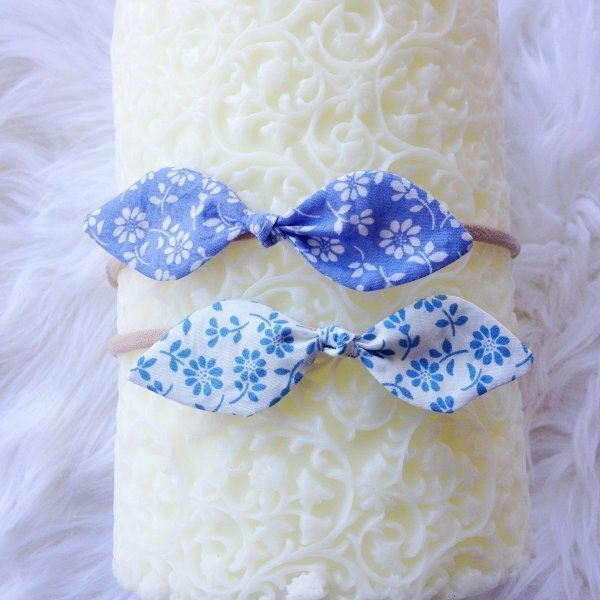 A pretty set of blue floral fabric baby bow headbands. One features a cornflower blue fabric with a white floral print, the other is a white fabric with a cornflower blue floral print. A pretty hair accessory to dress up any little outfit.